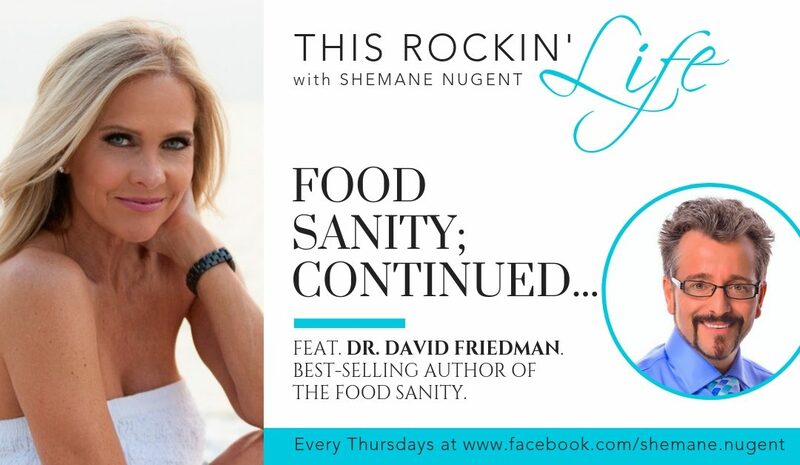 On this episode, I’m joined by Dr. David Friedman. Dr. Friedman is a New York Times best-selling author who has worked with popular celebrities like John Travolta, Suzanne Somers, and others. He has made appearances on many radio and tv shows and has his own podcast. Food Sanity is his way to break through the fads, faction, and fallacies when it comes to food. I really think you’re going to enjoy this conversation because we cover so many topics. There are so many hidden dangers, and Dr. Friedman gives you a lot of tips and suggestions on how to avoid toxins and live a healthier life. [04:27] – Dr. Friedman shares how to lower your cholesterol without prescription medication. There are natural remedies! [06:53] – My home was contaminated with toxic mold and I got really sick. I was prescribed an injection and things got worse! [08:31] – Food packaging can actually be unhealthy for you and cause you to lose weight. [11:47] – It breaks my heart when I see people warm up food in a plastic container in the microwave. [12:45] – Stay away from non-stick cookware. [13:37] – I went to France and they approach mealtimes differently than we do in the United States. [14:36] – We need to be better at chewing our food. [16:30] – If you’re stressed, relax your tongue to the bottom of your mouth. [17:36] – Paula asks if high cholesterol can be hereditary. [20:16] – Avoid drinking out of plastic bottles. [24:45] – Dr. Friedman shares how these chemicals end up in our water. [26:23] – If you see big names on labels, it could be a bad sign. [27:00] – I am scared of air quality, and I can sense poor air quality. [31:14] – We share some tips for freezing food. [32:14] – Cooking in cast-iron pans can be good and bad. [33:14] – Dr. Friedman talks about an upcoming documentary based on his book. [34:20] – Salt is supposedly bad, but we’re made out of salt! [37:43] – If there you can only go to a fast food restaurant, Dr. Friedman shares his two recommendations.